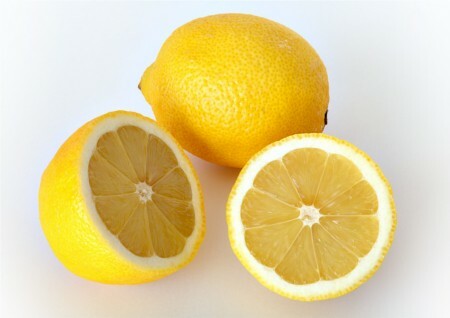 The lemon is a small evergreen tree originally native to Asia, and is also the name of the tree's oval yellow fruit. The fruit is used for culinary and nonculinary purposes throughout the world – primarily for its juice, though the pulp and rind (zest) are also used, mainly in cooking and baking. Lemon juice is about 5% citric acid, which gives lemons a tart taste, and because of this, many lemon-flavored drinks and candies are available, including lemonade.